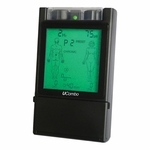 Roscoe Medical® TOP TENS™ Pain Relief System (Model: DT6030) - 1 ea. An over-the-counter, prescription strength TENS pain relief system that doesn't need a prescription! 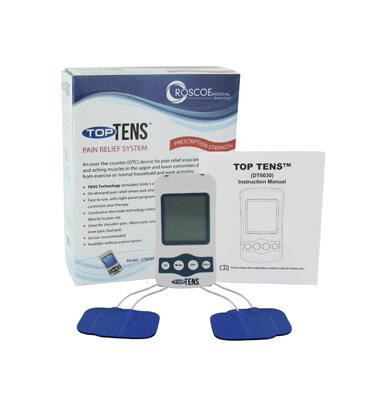 TOP TENS™ Pain Relief System is an over-the-counter (OTC) prescription strength TENS device for pain relief associated with sore and aching muscles in the upper and lower extremities due to strain from exercise, or normal household and work activities. 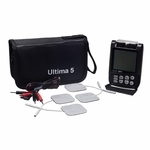 It uses TENS technology to stimulate the body's own natural pain killers and transmits current directly to the pain site. 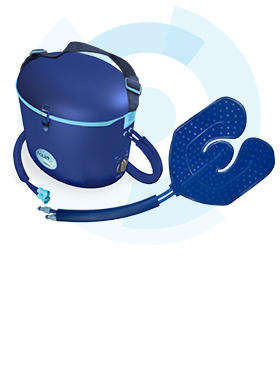 TOP TENS™ provides on-demand portable pain relief when and where you need it. 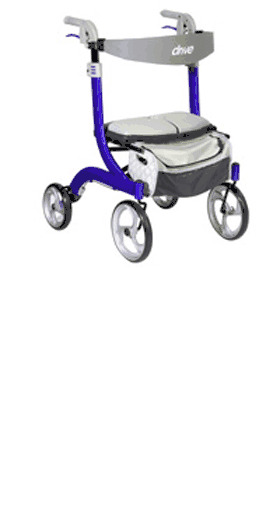 No hospitals, doctor's offices, or physical therapy locations needed. If can be used at home or on-the-go. 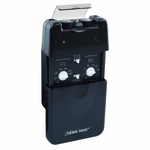 It has a belt clip on the back of the device enabling even more portability. 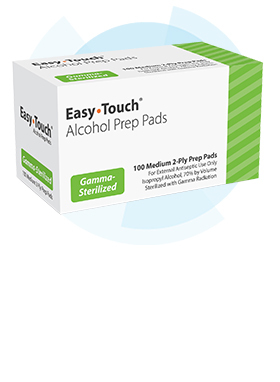 It is easy-to-use and contains 8 preset programs and 12 preset treatment times allowing you to customize your therapy. 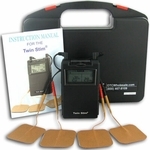 The TOP TENS™ Pain Relief System is great for shoulder, elbow, wrist, knee, and foot pain. It is Doctor recommended prescription strength and it's available without a prescription! 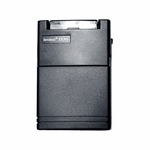 If not button is pushed for 60 second while in programming mode, the TOP TENS™ will automatically shut off. 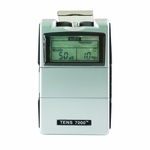 The TOP TENS™ automatically turns off when the time for your therapy session has elapsed. The TOP TENS™ preset treatment times are: 5, 10, 15, 20, 25, 30, 35, 40, 45, 50, 55, 60 minutes and also continuous. Dimensions: 4.5" x 2.25" x 0.9"
The long-term effects of TOP TENS™ are not known. Do not place the electrodes on or close to your heart. Do not place the electrodes on or close to your neck. Do not apply stimulation over the neck. Sever spasm of the muscles may occur and the contractions may be strong enough to close the airway or cause difficulty in breathing. Stimulation over the neck could also have an adverse effect on hearing or blood pressure. Do not apply stimulation across the chest because the introduction of electrical current into the chest may cause rhythm disturbances to the heart, which could be lethal. Do not place the electrodes on or around your head. The effects of stimulation of the brain are unknown. Do not use the electrodes on or around your head. The effect of stimulation of the brain are unknown. Do not use the electrodes over or close to sores. Do not place the electrodes on the front or sides of the neck, across or through the heart (one electrode on the front of the chest and one of the back), in the genital region, or on the head, because of the risk of stimulating inappropriate muscles and organs. Do not place the electrodes over any recent scars, broken or inflamed areas of infection or susceptibility to acne, thrombosis or other vascular problems (e.g. varicose veins), or any part of the body where feeling is limited. Do not place the electrodes over areas of injury or restricted movement (e.g. fractures or sprains). Do not use the TOP TENS™ while sleeping. Do not use if you fell numbness. Do not use the TOP TENS™ in or close to water. Do not use the electrodes over or close to cancerous lesions. 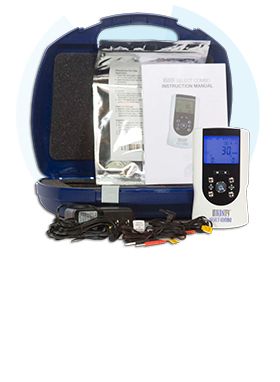 Use the electrodes only on normal, healthy, clean, and dry skin. Do not use the electrodes on open wounds or rashes, or over swollen, red, infected or inflamed skin. If you have ever had back surgery, consult your physician before using the TOP TENS™. 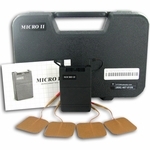 Electronic monitoring equipment (such as ECG and ECG alarms) may not operate properly when electrical stimulation is in use. You must position the electrodes and operate the TOP TENS™ ONLY as indicated in the instruction manual. Avoid placing the electrode pads over metal implants. Do not use in the bath or shower, or in an environment of elevated humidity (e.g. sauna, hydrotherapy, etc.). Do not use the TOP TENS™ in an environment where flammable or explosive fumes may exist. 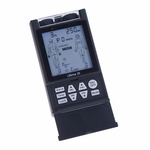 The TOP TENS™ device carries a one-year manufacture warranty from the date of purchase. The warranty does not apply to damage from failure to follow the operating instructions, accidents, abuse, alterations, or disassembly by unauthorized individuals. The warranty applies to the main device and necessary parts and labor thereto. Batteries, lead wires, electrodes, and other accessories are warranted to be free from defects in workmanship and materials at the time of delivery.